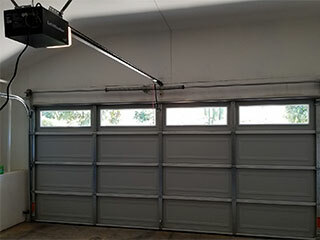 Home Our Garage Door Services Garage Door Maintenance Do I Need An Expert For Ongoing Maintenance? Do I Need An Expert For Ongoing Maintenance? We all know that DIY saves money. But is it true when it comes to the maintenance of a garage door? Is it safe? The answer is – it depends! What Should You Do Yourself? Ongoing simple maintenance tasks can and should be the responsibility of the homeowner. This might include simple tasks such as cleaning the door panels and the opener components, dusting the safety sensors and replacing the batteries in a remote control. Repairing and replacing garage door parts, especially those tricky components of the opener, is usually not something homeowners are familiar with. An avid DIYer may research the topic, buy the proper tools and attempt the repair, even a few times, until successful. If you take into consideration the time it took and the investment in tools that are unlikely to be use again, calling a professional repair expert will probably have saved a lot of time and aggravation. Further, there are inherent dangers in trying to take on complicated tasks without experience – there is a real risk that you'll cause more damage than you started with. Lastly, it could be that a manufacturer's warranty is valid only with professional installation and repair work - carrying out work informally may void it. A garage door is heavy and bulky and carrying out repairs requires in-depth understanding of the technical and electrical processes involved as well as the safety procedures necessary. Even if your enjoy the cleaning and regular inspections, a full–on preventative inspection and maintenance service should be carried out by a professional once a year who can thoroughly inspect and adjust everything as needed. During our maintenance services, we will lubricate all the moving parts and carry out safety checks to ensure proper functioning. If any problem is identified, our technicians at Garage Door Repair Douglasville will be able to repair and suggest a replacement if necessary. What Is The Best Garage Door Material? Safety is our top priority, and we never settle for second best. Our technicians work with the best brands and top-quality components to ensure your door works first time, every time. Get in touch with us today if you’d like to schedule an appointment, or take a look at our website to find out more about the services we provide. Thank you for choosing our company! Feel free to browse our website for more information in the meantime. Our team at Garage Door Repair Douglasville is at your service any time!